America is becoming unrecognizable. The landscape is still familiar; the flag looks the same. But it is a changed placed. And some places are more changed than others. In New Jersey, the state Supreme Court has just ruled that a cop can search your vehicle if you are pulled over for any reason – and without a warrant. A defective turn signal, for instance. Basically, the NJ court has ruled that once a cop turns on his emergency lights, your Fourth Amendment rights have been forfeited. LIVINGSTON, NJ – The League of Women Voters held a debate for candidates for the State Assembly in the 27th district last Wednesday, September 30th. 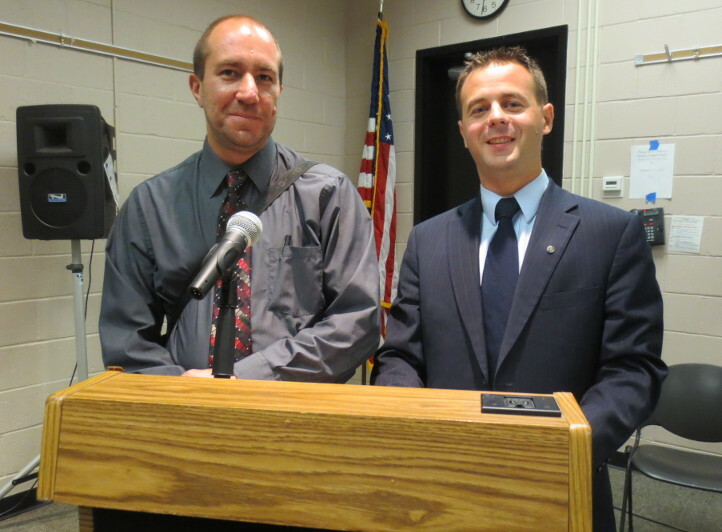 Libertarian candidates offered refreshing fact-based solutions to economic concerns such as job creation, state budgeting and state pensions. The Republican candidate promised to reach across the aisle, work hard and renegotiate pensions without mentioning any specifics. The Democratic incumbents, Assemblyman John McKeon of West Orange and Assemblywoman Mila Jasey of South Orange, were absent. Lumberton township has twice lost official minutes of meetings. Read the latest story at philly.com. Older articles can be found here and here. 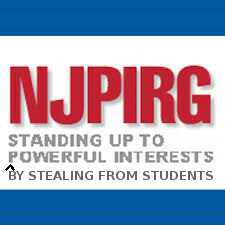 Rutgers has been billing students to support the legislative lobbying group, NJ Public Interest Research Group (NJPIRG). Each semester an item is added to each student's bill with the description "NJPIRG". To not pay this fee the student (or the parent paying the bill) needs take action to have this fee removed. Not only is this action unethical, it is also illegal. State law (18A:62-22) requires that any fee for organizations "which employ legislative agents or attempt to influence legislation" is only authorized by having "the student add the charge to the total amount due." This requires a positive check off for the fee. The law also requires specific language to be included on the bill. Rutgers is in violation of the law. They have a negative check off and do not include the required language. NJPIRG, along with other state PIRG chapters have lobbied public institutions to automatically bill students a fee that is forwarded to the state chapter of PIRG. In my case the fee was $11.20 for the Fall 2015 semester. The fee can be removed - but only if it is noticed and the appropriate boxes are checked when paying the tuition balance. Currently, fees for organizations which attempt to influence legislation are included on tuition bills at some institutions as "negative check-off" fees. This means the person paying the tuition bill must elect not to include the organization fee with the tuition bill. This bill would change that procedure to a positive check-off, so that the person paying the tuition bill must elect to include the fee with the tuition payment. Rutgers University is breaking the law with their current billing practice. According to the Rutgers Tuition and Fees page, the fee is categorized as one of their "Optional Fees". The required language is nowhere to be found and those paying the bill have to take an action to have the fee removed. During its July 27, 2015 public meeting, the Gloucester Township (Camden County) Council voted to end the public comment portion of the meeting for the stated reasons of one speaker's comments not having "something to do with government" and for not being sufficiently "respectful to others." The video of the meeting shows that resident Tom Crone, a Republican, began addressing the Democratic-controlled Council at 28:15 on the video. At about 41:40 Crone began speaking as spokesman for the Gloucester Township and Camden County Republican parties about "an unwholesome and unsavory incident . . . that involved" officials from Council Vice President Orlando Mercado's and his running mates' reelection campaign. By the Numbers: Do Immigrants Cause Crime? The alleged murder of Kate Steinle in San Francisco by illegal immigrant Juan Francisco Lopez-Sanchez has reignited the debate over the link between immigration and crime. Such debates often call for change in policy regarding the deportation or apprehension of illegal immigrants. However, if policies should change, it should not be in reaction to a single tragic murder. It should be in response to careful research on whether immigrants actually boost the U.S. crime rates. With few exceptions, immigrants are less crime prone than natives or have no effect on crime rates. As described below, the research is fairly one-sided. There are two broad types of studies that investigate immigrant criminality. The first type uses Census and American Community Survey (ACS) data from the institutionalized population and broadly concludes that immigrants are less crime prone than the native-born population. It is important to note that immigrants convicted of crimes serve their sentences before being deported with few exceptions. However, there are some potential problems with Census-based studies that could lead to inaccurate results. That’s where the second type of study comes in. The second type is a macro level analysis to judge the impact of immigration on crime rates, generally finding that increased immigration does not increase crime and sometimes even causes crime rates to fall. At the outset of this letter, let me make clear that as a Libertarian individualist and activist that I am not really enamored of any flag. They are all symbols of nationalism and statism, both of which are collectivist philosophies and ideologies that believe the individual should be subordinate to the so-called "greater good." Having said this, let me also make clear that the current frenzy over the Confederate battle flag (erroneously referred to by many as the "Stars and Bars," which was the flag of the Confederate government) shows that the "politically correct" liberal crowd is just as intolerant and hateful as the people they claim to be against! Republicans howled when Nancy Pelosi famously said, “We have to pass [Obamacare] so that you can find out what is in it." Now GOP lawmakers, who control the U.S. House, are following suit in their passage of a new Trans-Pacific Partnership (TPP) trade bill. After rejecting an earlier version of the bill last week, the House passed a new TPP bill on June 18 which gives President Obama carte blanche to negotiate and sign a massive anti-American trade treaty with eleven other Pacific nations without public oversight or news coverage. They’ll have a short period of time, after the hundreds-of-pages-long treaty is finally published, to cast an up-or-down, take-it-or-leave-it vote. Because of pressure from the NJLP Preempted Ordinance Repeal Project, the Township of Woodbridge voted on June 10th to repeal their prohibitions against loitering and disorderly conduct. The full letter sent by the Pre-empted Ordinance Repeal Project to Woodbridge can be found here. The text repealing the ordinance can be found here. An article covering the repeal can be found on myCentralJersey.com's website. 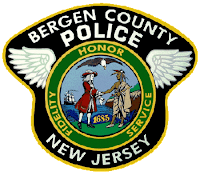 On April 27, 2015, the County of Bergen agreed to pay $350,000 to a County Police sergeant who sued Police Department officials for allegedly retaliating against him for exposing alleged illegal activity in the department. $140,000 of the settlement amount went to the sergeant and $210,000 was to compensate his lawyer. In his suit, Robert Carney, who previously headed the Police Department's Internal Affairs Unit, said that Police Chief Brian Higgins and Captain Uwe Malakas retaliated against him for complaining about a culture of cronyism that permitted officers to allegedly tamper with and steal evidence, illegally discharge firearms, falsify official reports and abuse sick time policies without fear of being disciplined. On March 2, 2015, the Township of Deptford (Gloucester County) agreed to pay $35,000 to a Wenonah man who sued members of the Deptford Police Department for allegedly arresting him for video recording police and for possession of "saltine cracker crumbs." In his suit, John Cokos said that he was walking to Gloucester County College on November 10, 2011 carrying a video recorder. He said that Deptford Township Police Officer Matthew Principato made an abrupt U-turn and asked him "what his intentions were with the video camera." Cokos said that he didn't answer Principato's question and instead asked "whether he was charged with any offense, and, if not, . . . whether he was free to leave." 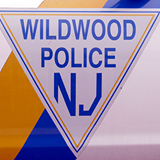 On May 27, 2015, the City of Wildwood (Cape May County) agreed to pay $29,000 to a Vineland man who sued members of the Wildwood Police Department for applying excessive force. In his suit, Kenneth Carey said that on August 28, 2010 Wildwood Officer Andrew Grenaro "exercised unlawful and excessive force" upon him at 248 E. Schellenger Avenue. Carey, whose lawsuit contains no specifics of his interaction with police, also claimed that Grenaro "unlawfully seized" him and discriminated against him "because of his race." This originally appeared on Cop Block.org. 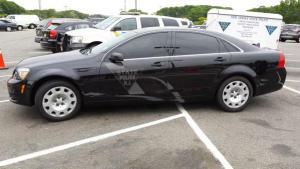 Motorists on New Jersey highways may see the newest car patrolling the roads. Then again, they may not. On March 11, 2015 the Township of Byram (Sussex County) agreed to pay $10,000 to a Newton man who sued the Byram Police Department for maliciously prosecuting him for drunk driving. 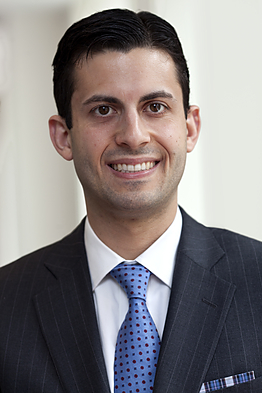 In his suit, Arthur M. Pirone said that on June 25, 2013, he was driving on U.S. Route 206 when in a "trance like mental status proximately caused by undiagnosed sleep apnea disease" he was "invoked in multiple collisions with street signs and a utility pole." When Byram Officer John D'Onofrio responded to the incident, Pirone alleged that he immediately concluded that he had been drinking and arrested him for drunk driving even though there was no odor of alcohol present. Pirone claimed he was taken to a hospital where blood was extracted from him when he was unable to consent. He claimed that he was ultimately found not guilty of the drunk driving charge. As a result of pressure from the NJLP Pre-empted Ordinance Repeal project three towns are looking to rescind their curfew laws. Thanks to NJLP member and project volunteer Jim Tosone for his work. Hasbrouck Heights has introduced Ordinance 2236 repealing their curfew. This Ordinance is scheduled to be voted on during the Council meeting on May 12th. North Arlington has agreed to introduce an ordinance repealing their curfew. Three additional towns have been notified as to the illegality of their ordinances. We are waiting to hear back from Saddlebrook, Northvale, and Moonachie. Much has been in the news recently about the so-called Religious Freedom Restoration Act in Indiana and also in Arkansas. Sadly, all sides in this debate focus on the wrong issues. We already have a Religious Freedom Act – it’s called the First Amendment to the Constitution! The real issue is property rights and the right of individual business owners to choose their customers – bringing religion into this debate only clouds the issue. Following is my letter to the Cumberland County Prosecutor's Office and Bridgeton City Officials regarding the Bridgeton Municipal Court's continued practice of downgrading statutory violations to a municipal code provision that hasn't been in effect since 2003. I contacted the Prosecutor's Office regarding the same issue in 2010 and was told that it was resolved. Unfortunately, the superseded code provision is still being used. I am writing on behalf of the New Jersey Libertarian Party's Police Accountability Project regarding the March 2, 2013 arrest of Vasilio Koutsogiannis by Stafford Police. Mr. Koutsogiannis has been in touch with us and has claimed that Officer Robert Conforti's report, especially the part regarding Koutsogiannis' sister verbally conveying her father's consent to a police search of his residence, is fabricated.